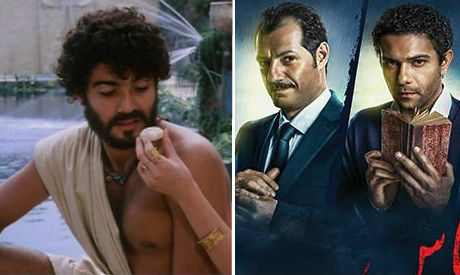 Two Egyptian films – Marwan Hamed's Torab El-Mas and Youssef Chahine’s Al-Mohager – will be screened at the Belgrade International Film Festival as part of the Egyptian ambassador's efforts to promote cultural ties between the two countries. This is the first time Egyptians films will be screened at the festival, which is a longstanding and important one in the region. Screening out of competition, the films are part of an agreement spearheaded by Khaled Abdelgelil, the head of the National Cinema Center in Egypt, and Amr Goweily, the Egyptian ambassador to Serbia. Both men met with Ksenija Zelenovic, the festival’s programme coordinator, to highlight the notable increased presence of Egyptian culture in Serbia and strengthen cultural exchange between the countries. They also met with members of the Yugoslav Film Archive and agreed on translating a number of Egyptian films to Serbian, and to screen them during Egyptian Film Month next July. Among the agreements was also a plan with Serbia’s Documentary Archive, headed by Vladimir Tomčić, to produce a documentary on Serbian-Egyptian relations, which celebrate 111 years of diplomatic ties this year.